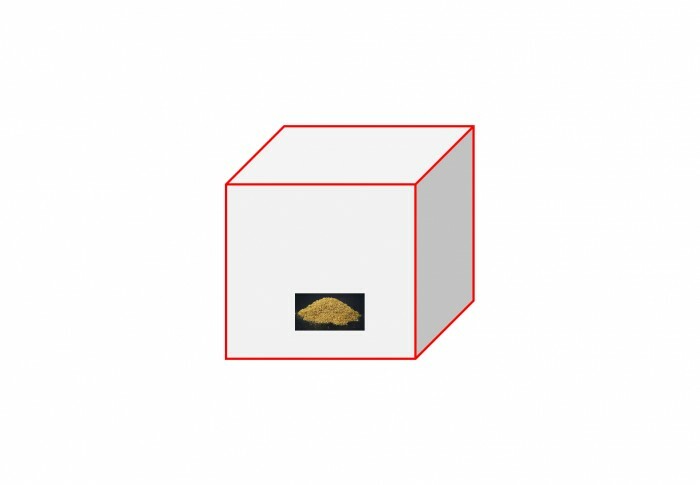 Indium Blog Post: Solder Alloy Density Equation: Why What Most People Think is Right is Wrong - MTE Solutions Inc. Indium Blog Post: Solder Alloy Density Equation: Why What Most People Think is Right is Wrong - MTE Solutions Inc. The following blog post was written by Dr. Ron Lasky of Indium corporation. We found this article on solder alloy density interesting and we think you will too! Read below to learn more about a common mistake made when calculating solder alloy density. This formula is derived below again. 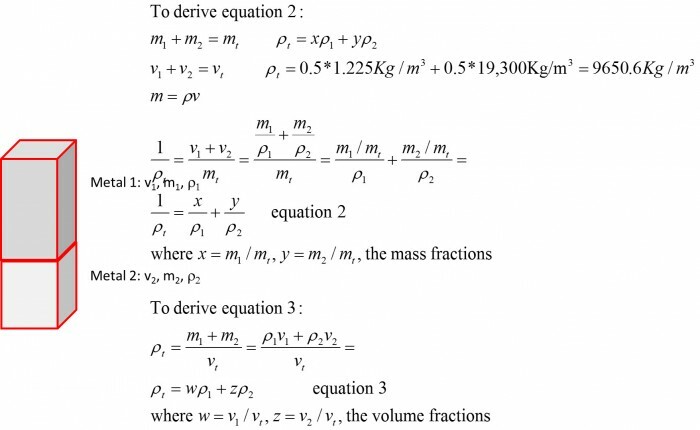 However, equation 3 is not very useful as the volume fraction of each metal is not as readily available as the mass fraction, which is easily measured with a scale. The weight of the 1 cubic meter container would now be 9650.6 kg/m3 * 1 meter3 = 9650.6 kg! Whereas we know it to be 1.225 Kg + 1.225 Kg = 2.45 Kg. Equation 2 or 3 will provide the correct answer.